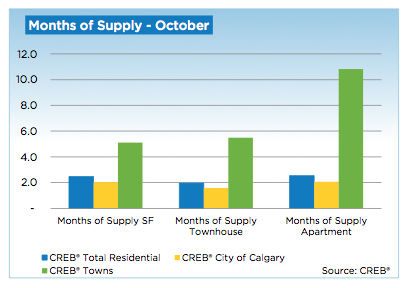 CALGARY REAL ESTATE NEWS - Welcome to the November 2014 edition of housing statistics showcasing the Calgary Real Estate market. I have embedded a PDF at the end of this article which is also packed with information, graphs and statistics to peruse and enjoy. 1. Calgary has the strongest economy in the country with impressive job growth which makes it a hotspot for people to move to for a great quality of life and vast opportunities. 2. 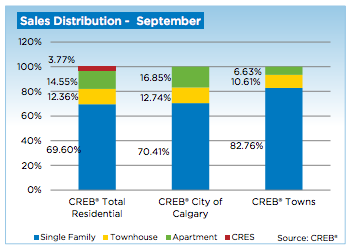 Calgary real estate listings are outpacing sales. With more properties available to purchase, along with it come better prices. 3. 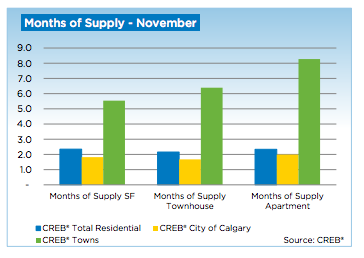 Calgary apartments (condominiums) and townhouse sectors have the biggest gains in November, with growth at 19%. Overall all, the demand growth within the single-family sector has been restricted due to a reduction in inventory. 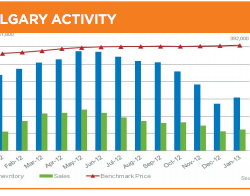 This reduction in listings can be traced back to slower sales growth within the sector. Asa result, the new listings within the sector fell in both January and February. This has further tightened the market, which was already undersupplied. 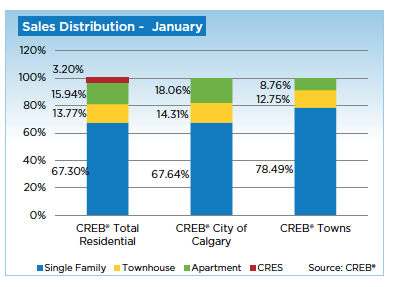 CALGARY REAL ESTATE - Home sales for the city of Calgary in January 2014 total 1,440 units. This represents a 17 percent increase when compared to January 2013 figures. January 2014 figures were the highest they have been since 2008. January 2014 numbers demonstrate a continuing trend that began in late 2013 in which sales started growing at a double digit pace. In terms of condominium apartment and townhouse sales, a total of 466 units were sold in January 2014. This represents a 33 percent increase when compared to January of the previous year. 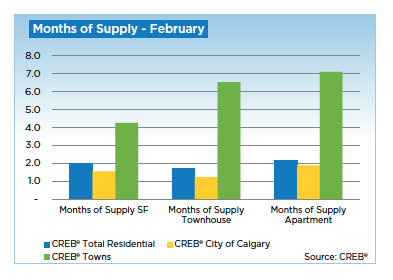 After enjoying an 8 percent year-over-year increase in sales volume in December, the city of Calgary closed out the year with an overall growth of 11 percent in sales volume. 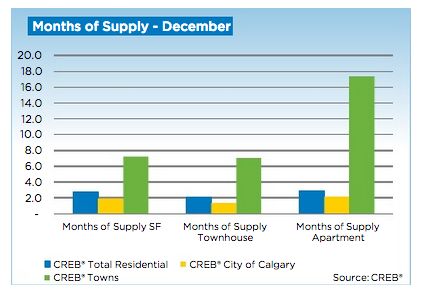 These figures, which pushed far above the long-term trends, exceeded the expectations for 2013. 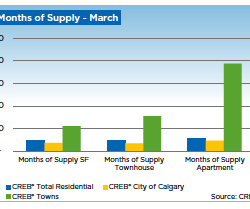 Calgary's growth in sales can be attributed to many factors. These include the fact that the city has enjoyed two consecutive years of increased levels of net migration. The city has also continued to experience an improved job outlook while buyers are feeling more confidence in the long-term stability of the economy.